Responsible, Caring and experienced long term House/Pet Sitter. New on Trusted Housesitters. 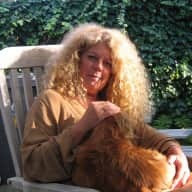 I am a retired, reliable, independent, non-smoking 65-year-old Dutch academic woman - now artist- who loves animals and new experiences as well as taking care of people's pets and houses as if they were my own. Preferably in warmer climates with animals around, as it reminds me of the life I so loved when I was a child living in the tropics for 10 years. "Home is where I hang my Heart" is the credo for my travelling and on October 1, 2017, my Dutch apartment was rented out for a year and a long-term travelling journey started out in a Peugeot Partner, modified with help from friends into a micro camper. Am flexible to all kinds of housing as we moved a lot as a family in several countries. House & Pet sitting commenced from 2004-2013 in Hawaii through personal recommendation and I am able to show references for taking care of animals with special needs and the practicalities of a big house with garden and pool. Also lived off the grid on solar and with water catch. Have a passion to discover the unique qualities of each animal, house and surrounding but am not a party type as I prefer to draw and write, so pets will have me around a lot! Here are examples of what I have created: My Mandalas : https://www.flickr.com/photos/67404706@N00/albums. Am a pilgrim by heart so new surroundings and encounters with people and animals make my heart and soul glow. My pension is a steady income that allows for some travelling but not for renting long term. Having my own small 'house on wheels' with me now makes it easy to move in between house & pet sits. 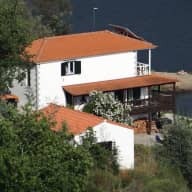 With some knowledge of Spanish, French and fluid English I can communicate in most countries and have learned to become quite technical, which is a good thing if you have had to take care of big houses and drive a converted micro camper. Am an independent woman with a passion for taking responsibility and care for pets & houses in different cultures and surroundings. Knowing very well from having had pet and house sitters myself what is important in providing the owners with a feeling of a carefree stay away from home. Am confident in taking care of emergencies. Have had several dogs ( see my picture of the sweet brown girl and the black lab boy !) as well as several cats and other animals like turtles, hamsters, birds and chicken. So I am experienced in lovingly taking care of them while they are healthy, but also when needing extra care and attention when they are of age. Rayne, the white Westy in one of the pictures was an elderly lady dog that I took care of in her own house several times, also when she was quite ill, staying in regular Email and Skype contact with the owners. Gardening has been one of my hobbies and I can use alarm systems and do pool maintenance. Having moved houses a lot I am used to adjusting quickly to new environments and keeping houses in an 'attractive for sale' state. 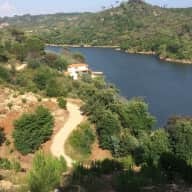 My first house sit in Portugal was for a lovely couple, Niki and Noel and sweet cat Min and a great introduction to the possibilities of this organization. After travelling through Europe in 2015, 2016 with my bigger campervan -now sold- and was available for only one house sit. Since June of this year, my time was spent organizing the renting out my apartment for a year and designing the micro camper conversion. Am available most of the year now. 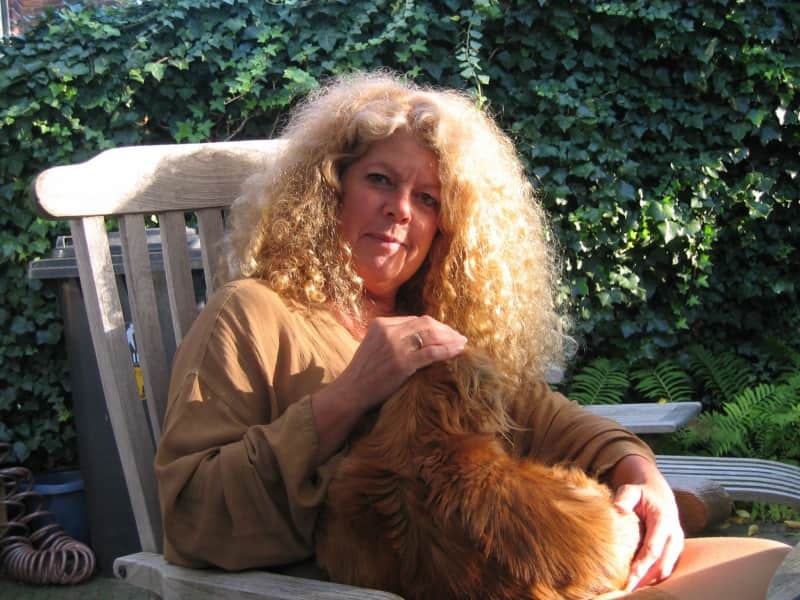 Ellen van der Molen is an extremely competent, experienced, trustworthy and responsible dog and house sitter. She has cared for our Westie, Rayne, three times for several weeks at a time at our home on the Big Island of Hawaii. The first time was in 2006 during the 6.7 earthquake and again in 2009. In 2013 when Rayne, in a state of physical and mental decline, required an hour to hour, around the clock attention, and almost weekly consultation with our holistic veterinarian, Dr Shannon Nakaya, Ellen did an excellent job of caring for Rayne. Although my husband and I were working in Europe, I always felt totally confident that Ellen was giving our beloved dog the best care possible. This was our first experience of using a house sitter. Ellen ensured that our recent trip was made with complete peace of mind. All arrangements were made with no fuss or delay. Ellen showed complete commitment to us , our cat and the success of our trip. Ellen is an independent and free spirit. She provided us with regular updates of the property and cat and was also willing to run a few errands too. On our return the house was spotless with all bed linen and towels freshly laundered, cat contented and plants looking healthy. We would fully recommend Ellen as a trusted house sitter. Thank you for entrusting me with sweet Min and your magical house. It was a pleisure! Ellen was part of a team of caregivers who provided long term 24/7 care for a geriatric dog including preparing home-cooked meals, assisted feedings, administering medications, mobility support, maintaining hygiene, energetic and spiritual support.